Mexican Food is well known for using lots of spicy peppers and herbs for a mouthwatering dish. Many would like to learn Mexican food, they enjoy the taste because of its flavorful kick, using fresh aromatic ingredients and its colorful presentation. 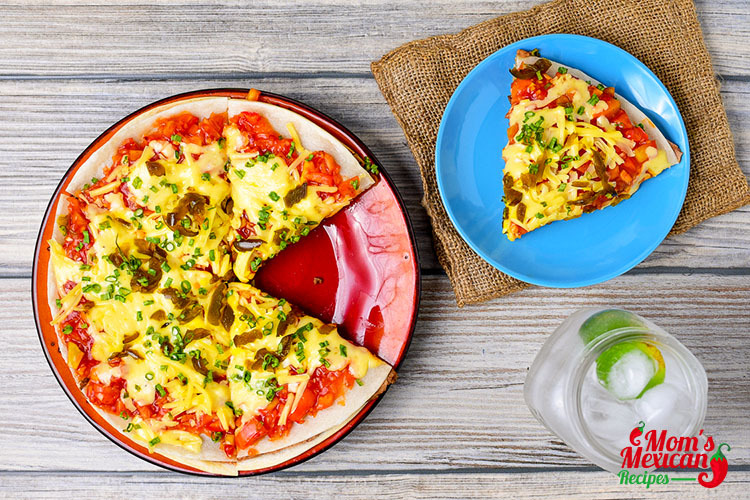 Many believe that Mexico has no such things as the Mexican Pizza. 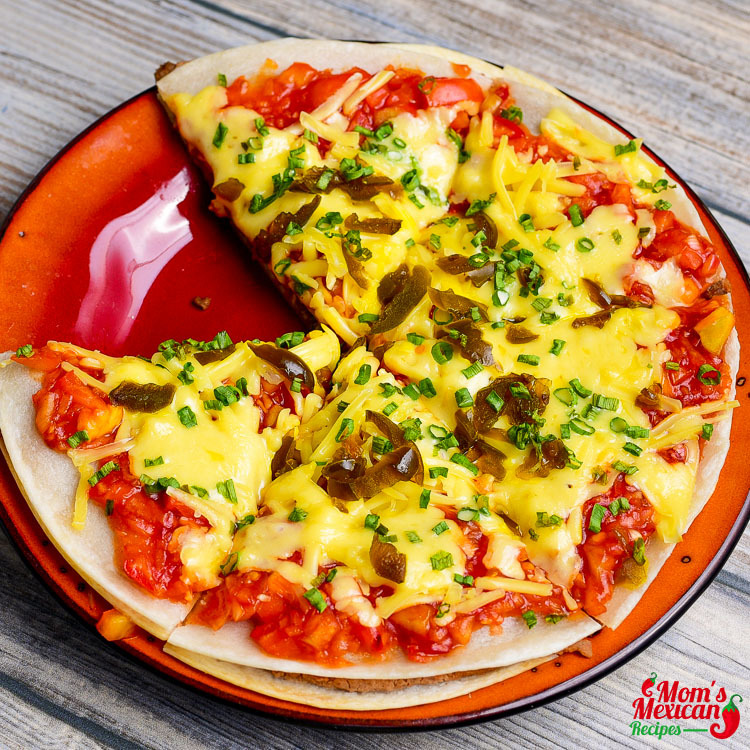 The closest thing similar to Mexican Pizza Recipe would be a “Tostada”. 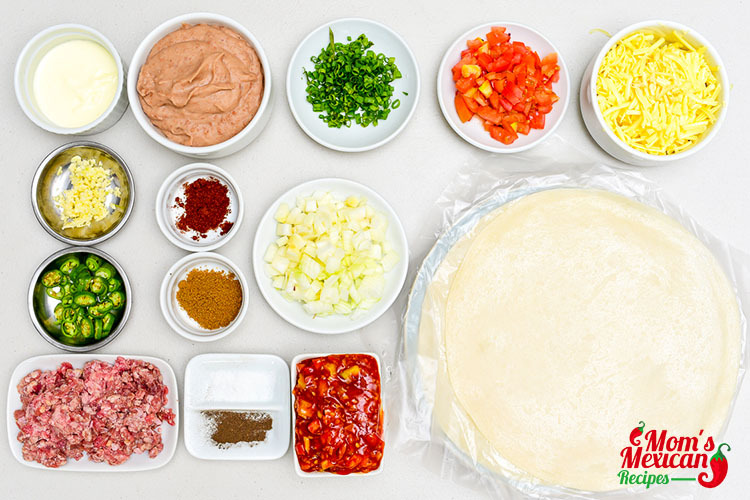 It is a round tortilla with layers of beans, ground beef, jalapeno peppers, cheese, tomatoes and sour cream. Cook beef, onion, and garlic in a skillet. Stir in chili, cumin, salt, pepper, and cayenne. Place tortillas side by side on the baking sheet. 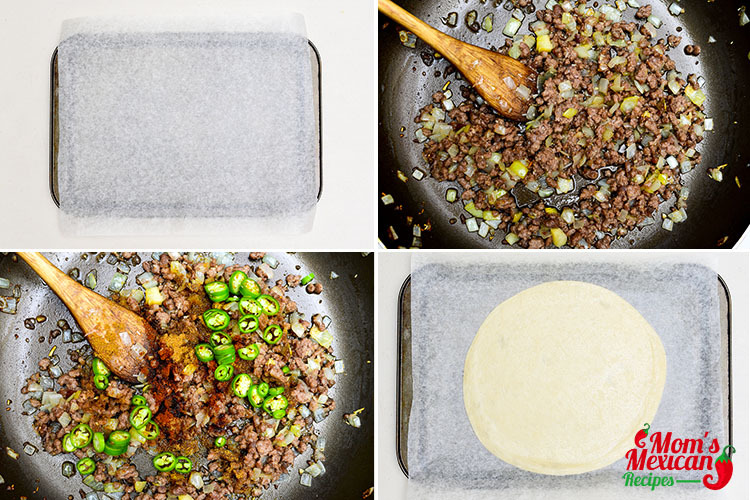 Cover with a layer of refried beans. 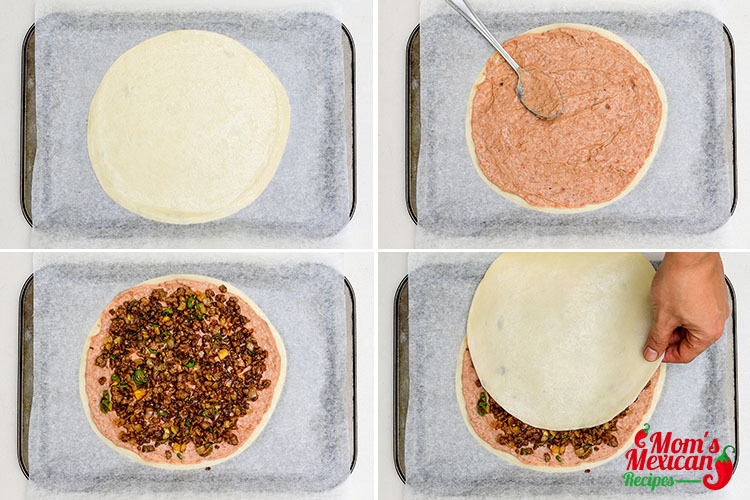 Scatter half of the beef over each tortilla, then cover with the second tortilla. Remove tortillas out of the oven. Spread salsa on top of each and top with cheese, tomatoes, green onions, and jalapeños. The main ingredients are Tortillas. It is a thin flat bread made of cornmeal or wheat flour. There are two kinds of tortillas. One is Corn Tortilla, is a thin flat bread made from finely ground maize (corn). The other kind of tortillas is a wheat Flour, it is a soft flatbread made from finely ground wheat flour. 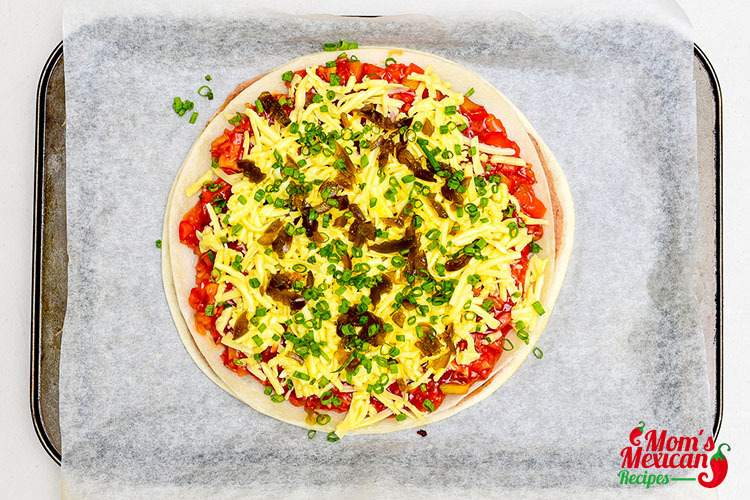 This Tortilla can be home-made or you can buy it in the store, fresh, frozen and as portion-size slices or pieces. Though the wheat flour tortilla has been used as a part of the basic diet for someone who is health conscious. 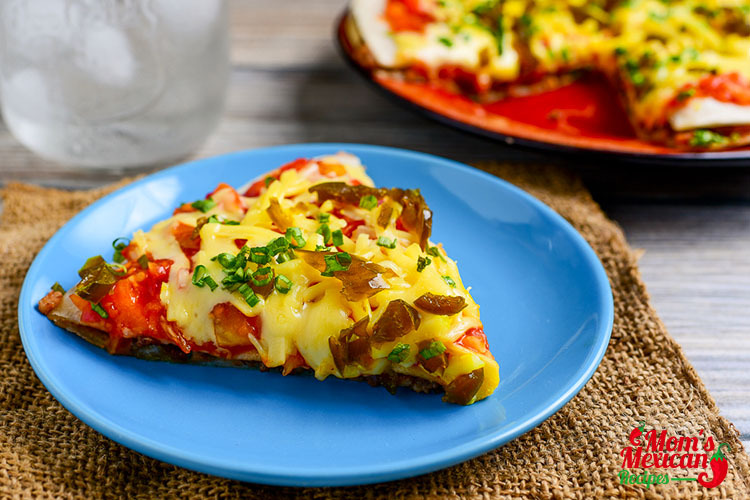 This Mexican Pizza can be served as a main dish.